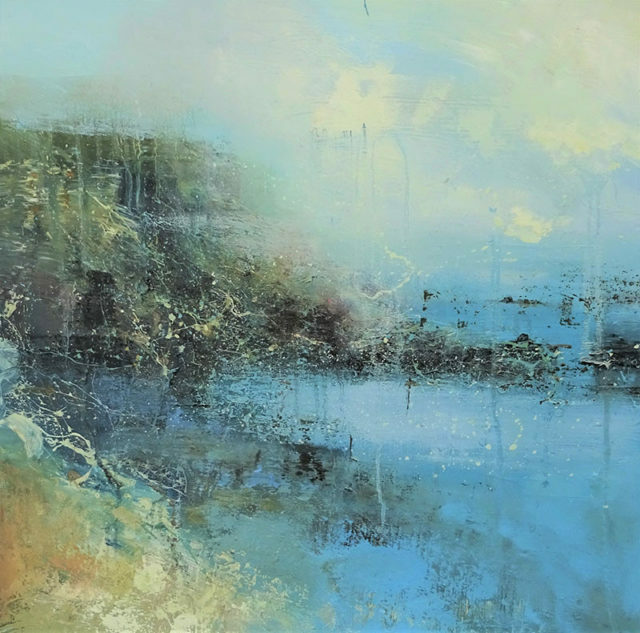 Claire works from a wonderful garden studio in Lyndhurst, and is one of our most popular contemporary landscape artists. 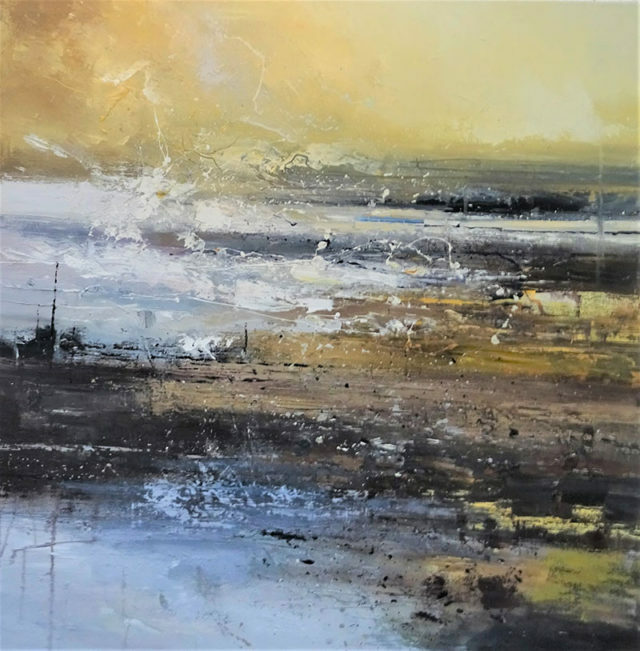 We love Claire’s subtly evocative colour palette and painterly treatment of stormy Dorset skies, reminiscent of J W Turner’s paintings. When not painting, Claire runs art workshops from the studio, encouraging local people of all ages and abilities to develop their artistic ideas and skills. Inspired by the Hampshire and Dorset coast, and the New Forest, Claire’s distinctive square, semi-abstract canvases subtly combine layers of oil paint with fragments of collage. She scratches through the layers of paint to reveal the colours and textures hidden beneath. Claire’s work is widely collected, including two contemporary landscapes selected for the House of Lords’ permanent art collection. 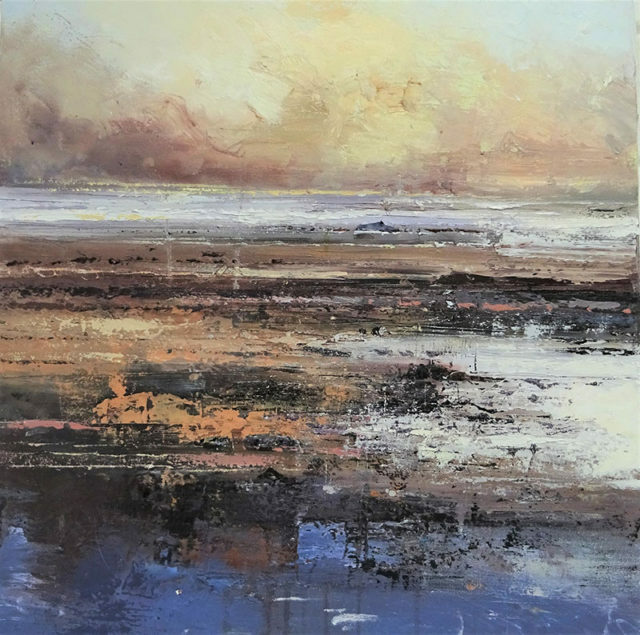 As a landscape artist she has achieved national and international recognition, and Coastal Gallery is delighted to feature Claire’s work. Please contact us re prices and availability.